If you do not know about Elytra, Elytra is a special item introduced in the 1.9 Combat Update, where players can find Elytra on Endermen’s warships floating in a strange area called “Ender City”. Elytra allow players to equip it into the armor slot and they can use this item to fly in the air. This is a very interesting way to move around and if you know how to use it, going from one location to another will be very easy. 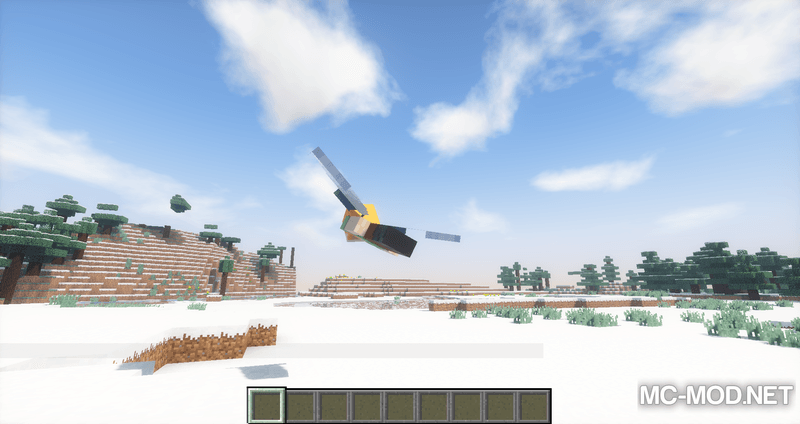 Welcome to Third Person Elytra Mod 1.12.2/1.10.2. 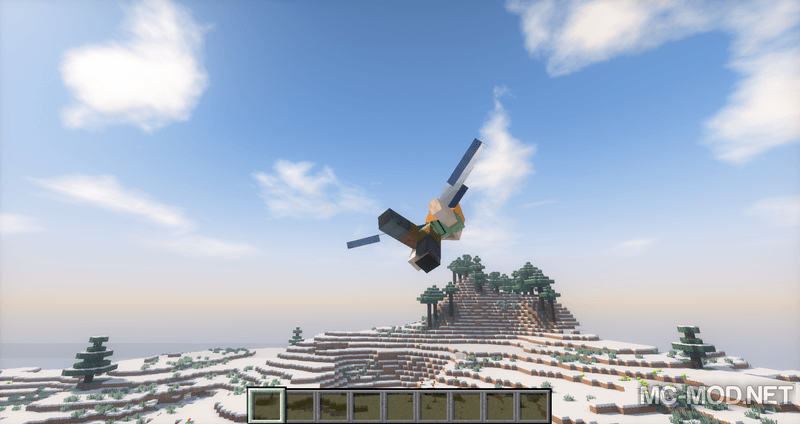 Elytra works exceptionally well in 3rd person view mode. 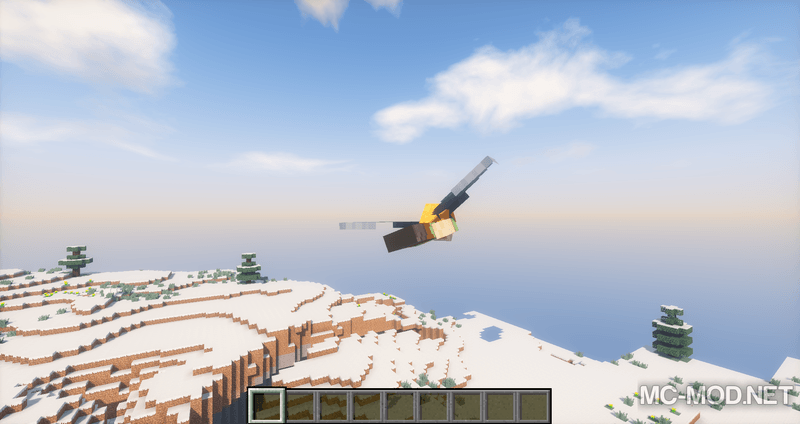 However, when using Elytra, the player would the default view angle, so if you want to use 3rd person view when flying elytra, you will have to manually switch modes in-flight and when landing. Third Person Elytra helps you solve that simply and gently: automate it. 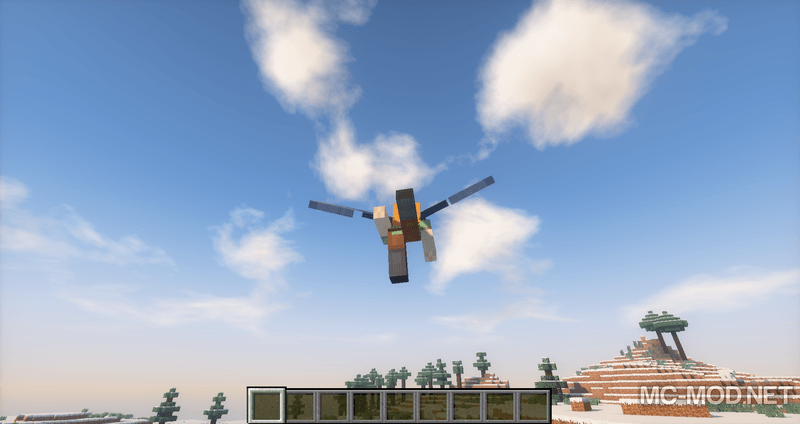 Third Person Elytra is a simple lightweight mod programmed by mod developer pauljoda, which automatically switches to third person view mode when you are flying with elytra and automatically switches to the view you were using earlier when moving on the ground. Third Persone Elytra works well whether you use it while playing Minecraft Vanilla Offline or joining other players through Vanilla Servers. Third Person Elytra requires Forge Mod Loader and Minecraft version 1.9.4 / 1.10.2. Download Forge Installer, Third Person Elytra.jar file.